Nutella, originally known as “gianduia”, was created by Pietro Ferrero during the World War II when chocolate was in shortage and to compensate for it, Pietro mixed hazelnuts in it. 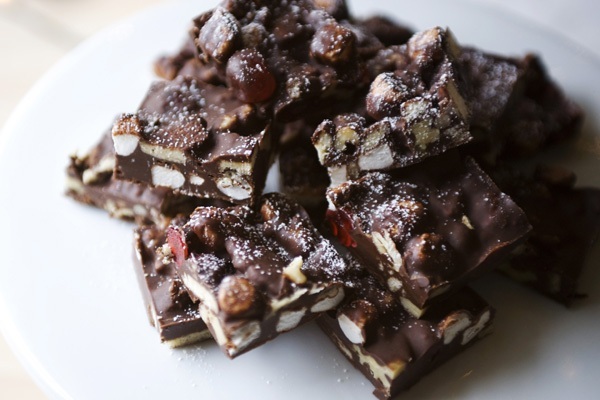 A simple concoction melted the hearts of millions and became an instant success. This roller coaster of an addiction created by Hitler and Napoleon took the world by a storm. Over time, people from all over the world have invented new creations to keep up with the trend and it seems it will take a long time for this flavor to fade away. Just a cooler version of a chocolate sandwich. Take some brioche bread, flatten it out, smear nutella and chopped hazelnuts all over it. Roll it up and cut the bread in the form of buns. Cook it in the oven for 20-25 minutes. Eat them while they are hot to experience the best foodgasm ever. Perfect remedy for a sultry afternoon. Just a normal ice cream made with an ice cream churner with an overload of nutella in it. Cook the bacon strips on a frying pan until they are curled up and crispy. Then coat them in nutella and allow them to cool down for a while. Make a pastry dough, roll it out into a desired shape and place it on a baking sheet. 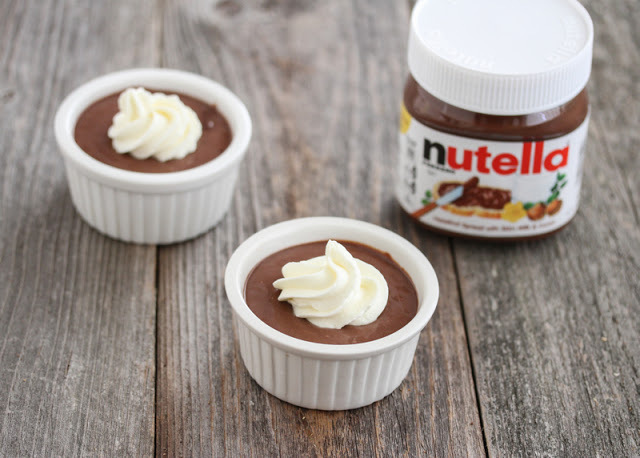 Create it in such a way that you have space to fill in the nutella. 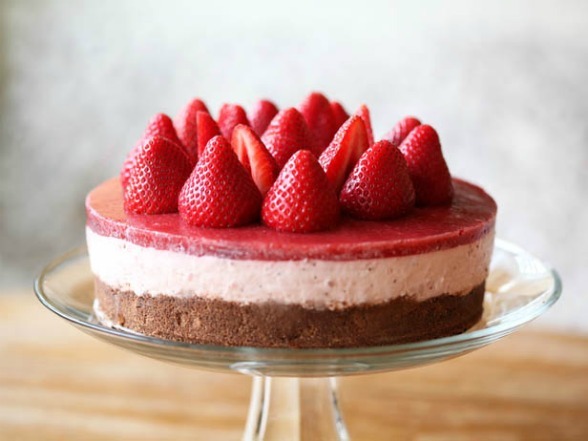 Bake it in the oven and once you remove it to cool down, place a strawberry on top to give it a tarty flavor. 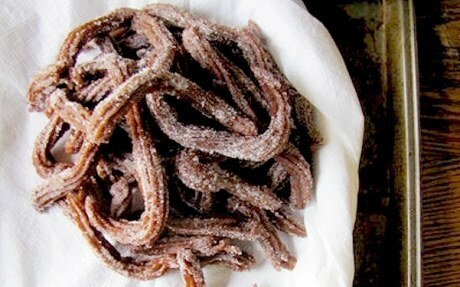 Nutella (yum) + Churros (yum) = DOUBLE YUM. 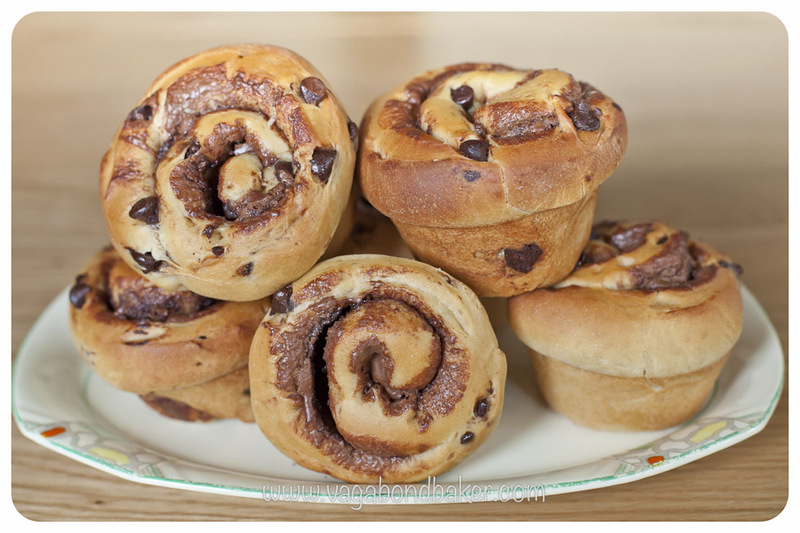 All you need is some brown sugar, nutella, cinnamon, butter and eggs. Beat them all up and pour it in a piping bag. Squeeze out the batter at desirable lengths and into a hot frying pan full of oil. Cook them till they brown. Remove each and place them in a plate full of sugar that acts as coating. To warm up your heart and keep you cozy during winters. 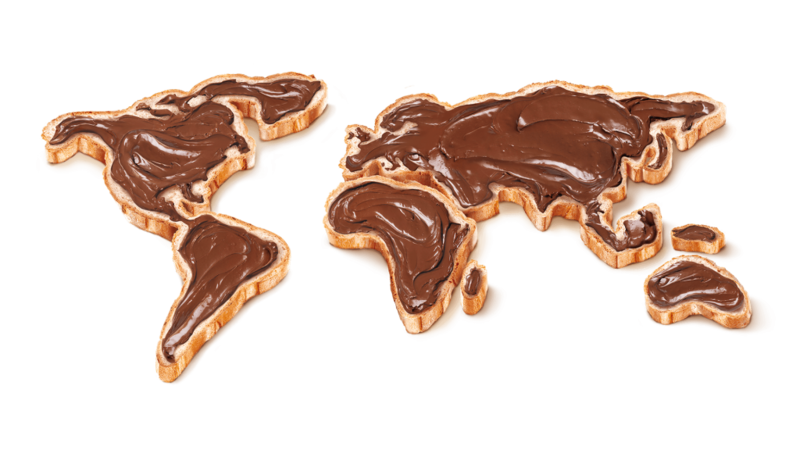 Warm up some nutella and milk on a pan. Keep stirring till it becomes frothy. One bite and then you won’t be able to stop. 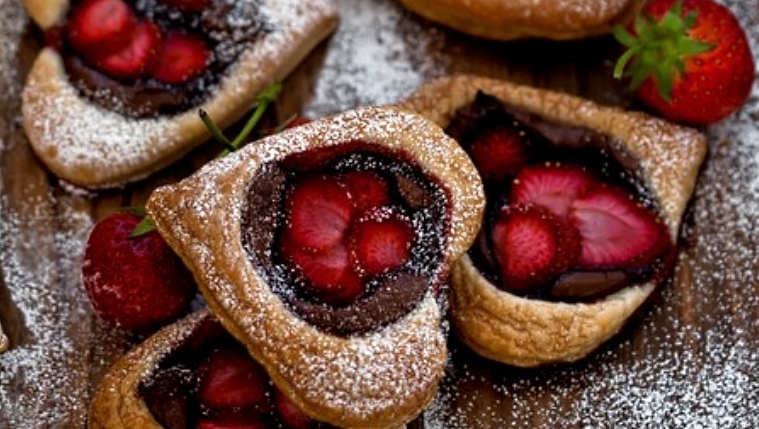 With the yogurt, cream cheese, butter and nutella, you are sure to put on some guiltless weight. For the pizza lover with a sweet tooth. 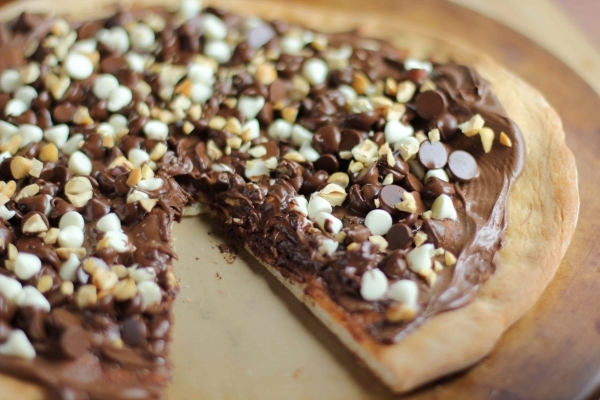 Just a normal pizza but where all ingredients are replaced by one thing – NUTELLA. 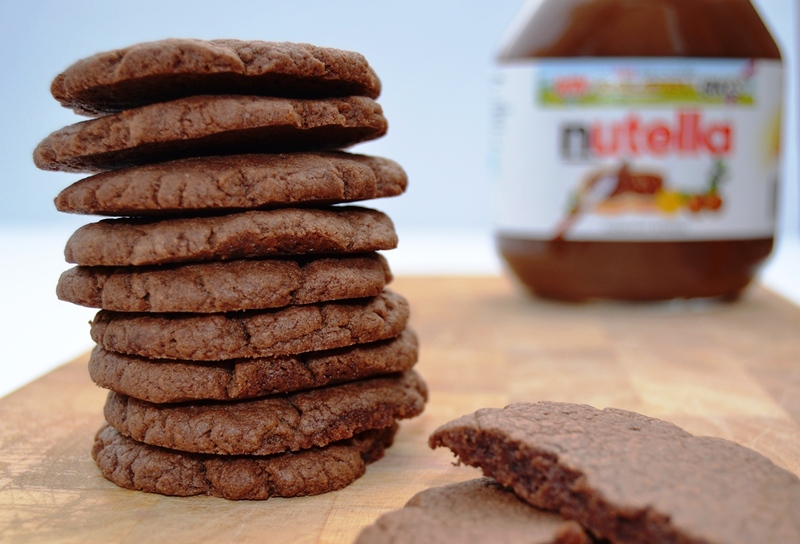 Just replace the chocolate with nutella in the cookie batter. So a mixture of flour, milk, nutella, baking powder, sugar and hazelnuts can turn into the best batch of cookies you have ever eaten. In case you were curious about what chocolate overload felt like. Just a simple cookie crumble tart filled with nutella, marshmallows and hazelnuts to make you go weak at the knees. 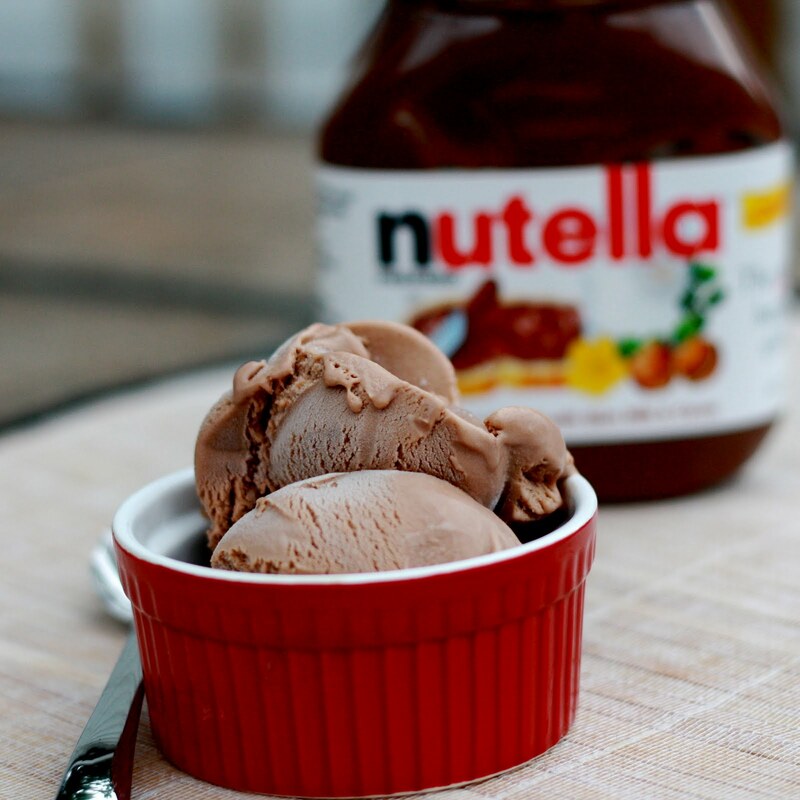 For the health freak with a weakness for nutella. Warm up some brown sugar, nutella and oil together, mix it with the granola and spread it on a cookie sheet to bake it for 2 hours. Make sure to keep stirring the mixture every 15 minutes. Cool it down by placing it in a zip lock bag or an airtight container. Like strawberries and cream, just better. 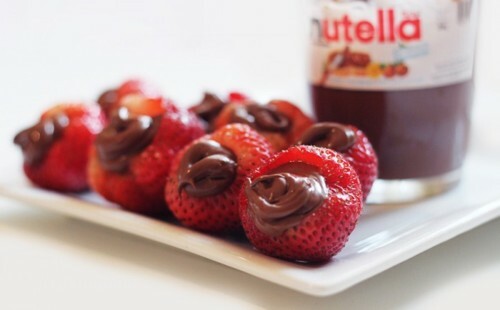 Pierce a hole in a fresh strawberry using a straw and then fill it up with nutella. Yummy! Smooth as silk (not talking about Dairy Milk Silk). 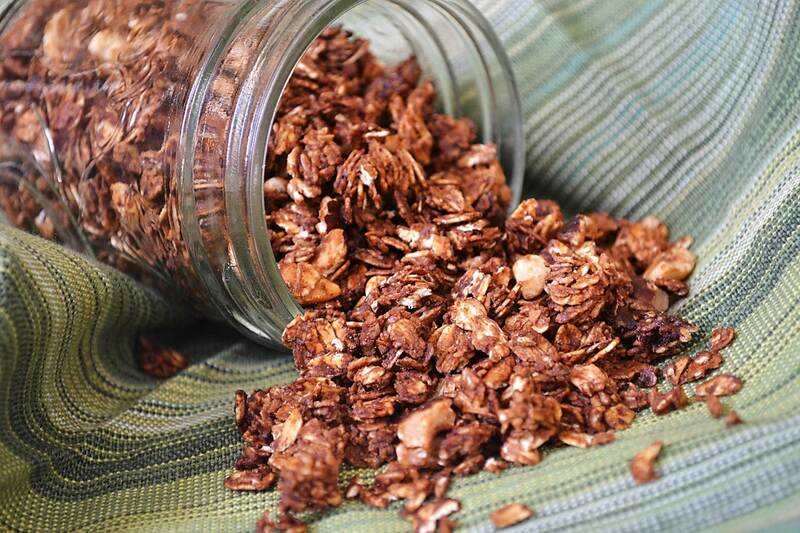 Combine heavy cream with coffee granules and keep stirring till the granules dissolve. Add in the nutella and beat the mixture with an electric mixture. Pour the mixture into a cup/bowl and place it in the fridge to cool and firm up. 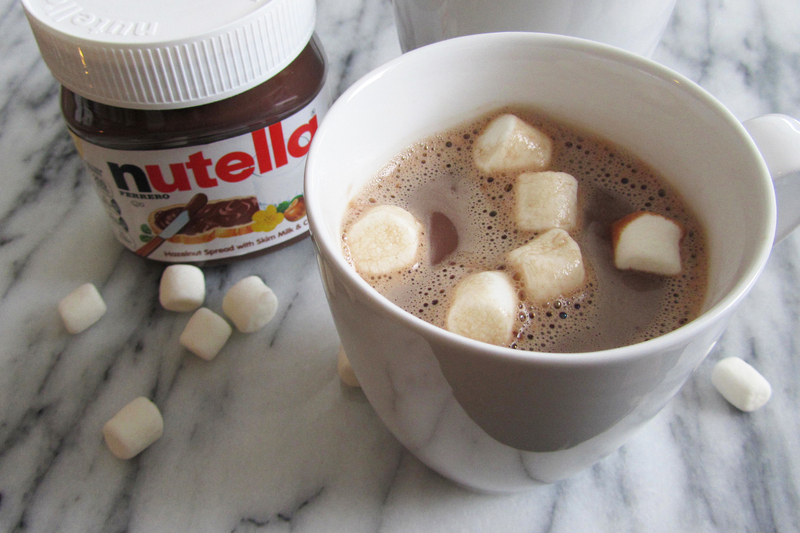 No combination can beat that of marshmallows and nutella. 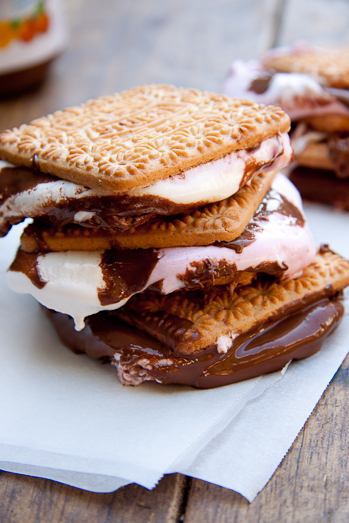 Take two Graham crackers and place a dollop on nutella on both of them. Melt two marshmallows over the stove and then place them on the crackers too. Close it up like a sandwich and let the deliciousness overflow. In case you feel adventurous. 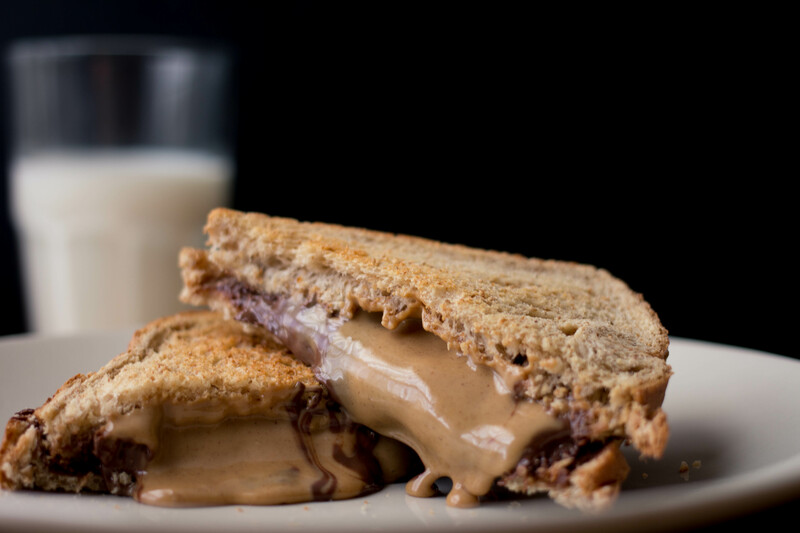 Two slices of bread, smear some peanut butter & nutella and voila!